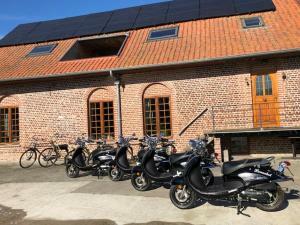 We were welcomed warmly, the breakfasts were absolutely amazing and the farm is in a pretty, peaceful area with easy drive to Ypres. Beautiful walking/cycling from the farm. Nice appartment, well equipped, excellent breakfast and friendly hosts. Yelena and Joel are amazing hosts, who make every aspect of the stay feel like a second home. The location is tranquil, yet close to the city and is walking access to some of the battlefields. There was nothing to not like, the place is absolutely beautiful. The owners could not make you feel more at home if they tried. The breakfast served is amazing. The personal service and touches were beyond our expectations. We will certainly be returning at some point in the future. Thank you for making our stay very memorable, we cannot thank you enough. We travelled with my elder Grandparents who are in their 80's and you were very accommodating. Many thanks and best wishes, from all of us. Enjoyable apartments. Lovely and clean and the Hosts where brilliant. Lovely breakfast to boot. Everything! The room was clean, spacious, well equipped and comfortable. Excellent shower and room to move in the bathroom. The catered breakfast was amazing!! Every morning I was able to go for magnificent walks in the local area and witness some impressive sunrises over the fields. There is on site under cover parking available. 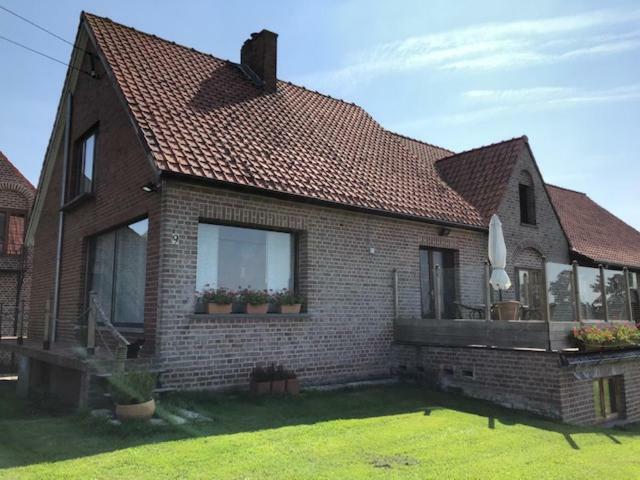 Perfect location for visiting Ypres and the surrounding battlefields and cemeteries of WWI. There are even two cemeteries across the road from the accommodation. The hosts are extremely hospitable and can offer heaps of advice about the area. We cannot recommend this accommodation highly enough. Everything was perfect-Joel was exceptional host-he even went as far as printing off information so we could have a trip to Bruxelles. Found out places to park for tram into city centre. provided information about places to see in the area. Breakfast and pastries all home made freshly.Fresh fruit and bread every morning. The hosts were simply wonderful, so kind and informative. Meeting us on arrival. We couldn't believe the amazing breakfasts either, perfectly presented, so much to eat and all of high quality. The accommodation was spotlessly clean and comfortable with fantastic decor and wonderful bathroom facilities. 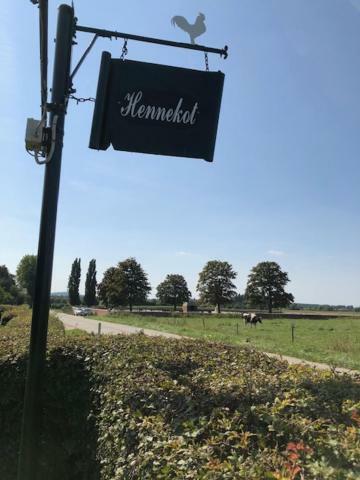 Only 2 miles away from the centre of Ypres, it took about 10 mins by car - it was refreshing to get into the countryside and away from the more touristy areas. Maximum rating from us. Couldn't speak more highly. We would love to return in the future. Lock in a great price for Apartment 't Hennekot Palingbeek – rated 9.9 by recent guests! 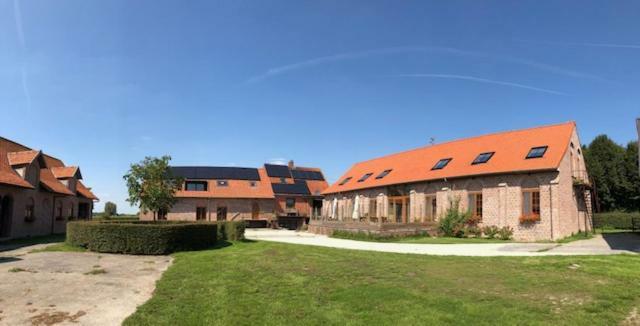 Located 2.5 mi from the center of Ypres, 't Hennekot Palingbeek features a garden with outdoor furniture, a terrace and free WiFi throughout the entire property. Upon arrival, guests are welcomed with a tasting selection of farm produce. There is on-site public parking free of charge. 't Hennekot Palingbeek offers an apartment with a living room including a TV and a DVD player, as well as a fully equipped kitchen with a dining area and a bathroom with a bathtub or a shower. Laundry facilities are also available at the property. The apartment's kitchen comes with all necessary utensils and kitchenware for guests to prepare meals. 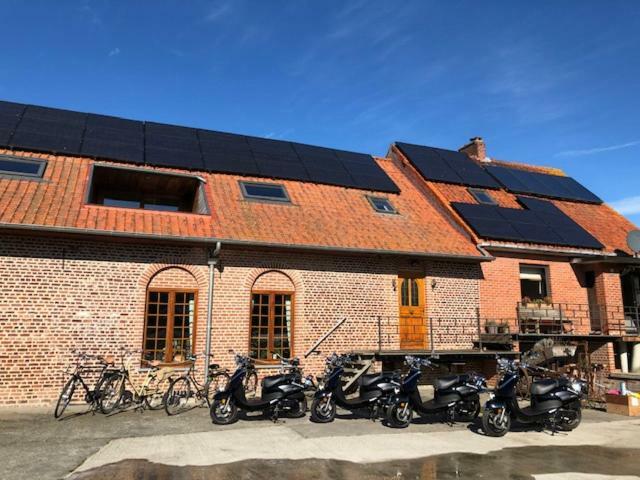 There are several cafés and restaurants serving Belgian specialties within 1.9 mi. 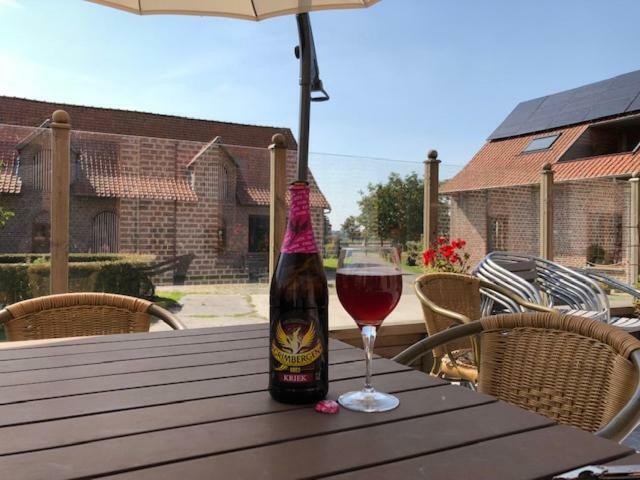 You can visit the celebrated Westvleteren Brewery dating back to 1838, located 6.2 mi from the property. De Palingbeek Golf & Countryclub is a 9-minute drive away and the Belgian coast is 45 minutes' drive from 't Hennekot Palingbeek. 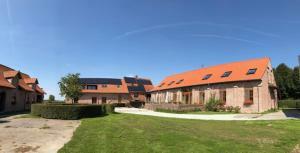 When would you like to stay at Apartment 't Hennekot Palingbeek? This suite has dining area and kitchinette with kitchenware, water cooker and toaster. House Rules Apartment 't Hennekot Palingbeek takes special requests – add in the next step! Please inform Apartment 't Hennekot Palingbeek of your expected arrival time in advance. You can use the Special Requests box when booking, or contact the property directly using the contact details in your confirmation. Lovely rooms, great location, amazing breakfasts. Joel and Yelena gave me a very warm welcome and were the perfect hosts throughout my short stay. 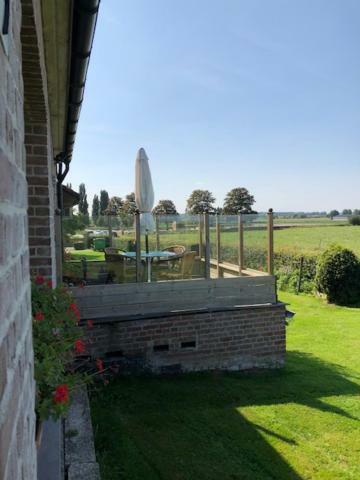 The location is perfect being an easy five minute drive from Ypres with the Menin Gate and many of the WW1 locations including Tyne Cot, Hooge Crater and Hill 60 are also just a short drive away. The apartment was clean and spacious, the bed very comfortable and even complimentary beer and cake on arrival. The other reviews about breakfast are right; it was amazing. Sharing the table with other guests there was a stack of different home baked breads and rolls (perfect for making a lunchtime sandwich), delicious yoghurt, chocolate filled donut and fresh fruits, cheeses and meats. Then onto the main course! My two mornings were ham and mushroom omelette and English style bacon, egg and sausage. Delicious. I will definitely be back. The Owner was waiting for us on arrival., The apartment was excellent, 2 bedrooms, lounge +dining area and kitchen, everything room was very well furnished. Satelite tv. Enormous breakfast .We were about 3 miles from Ypres. 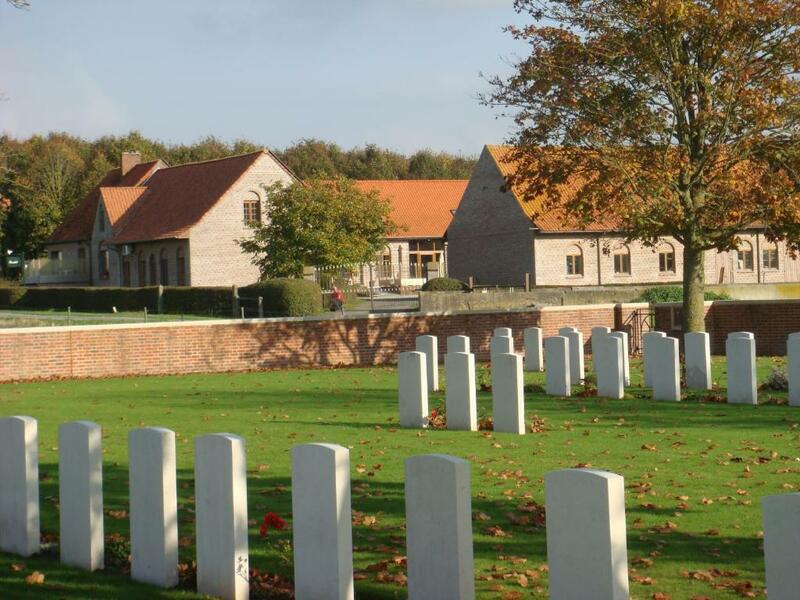 This is a great location from which to visit the area and WW1 cemeteries and memorials. We will definitely stay at this location when we visit next time. Beyond our expectations... Our hosts, cleanliness and comfort, and of course THE BREAKFAST which was truly unbelievable. Other reviews said it was the best they had ever had - we totally agree! We are already considering a return visit. Excellent accommodation, breakfast beautifully presented and food of highest quality. Special dietary needs fully catered for by the hosts.